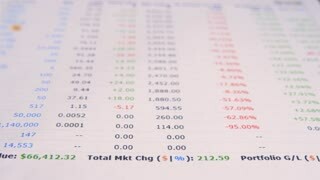 Senior man working on calculator. 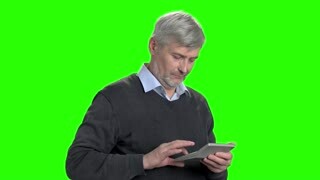 Mature man calculating finance on chroma key background close up. 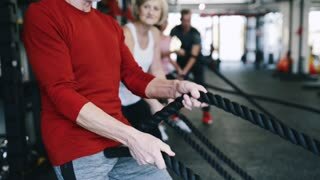 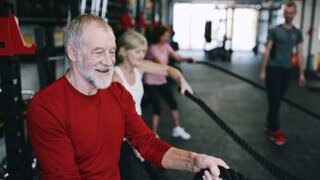 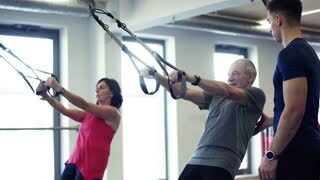 A group of cheerful seniors in gym with a young personal trainer doing exercise with TRX.